As has been the case more often than not this year, nothing went right in the first half for the 1-7 New York Jets against the Kansas City Chiefs. The touchdown that made it 14-0 Chiefs in the first quarter was a freak play. 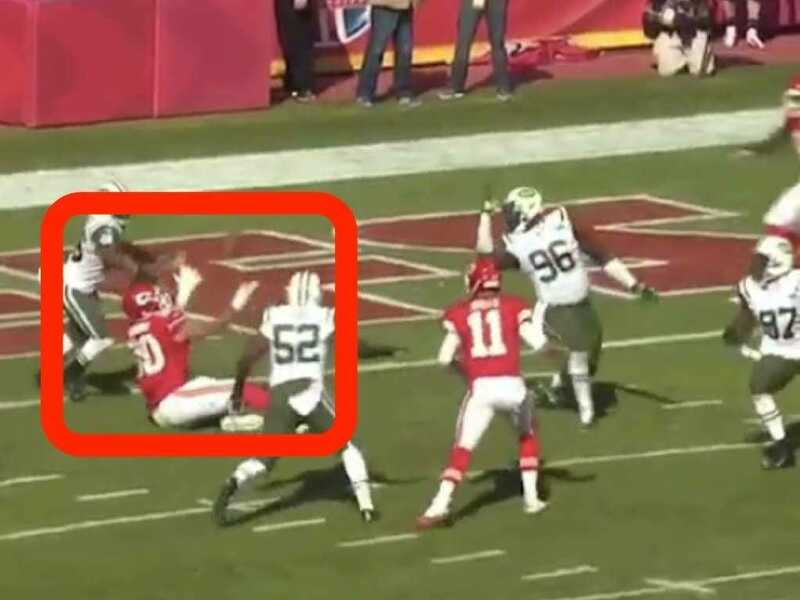 Chiefs quarterback Alex Smith threw it right into the arm of unblocked defensive lineman Calvin Pace. 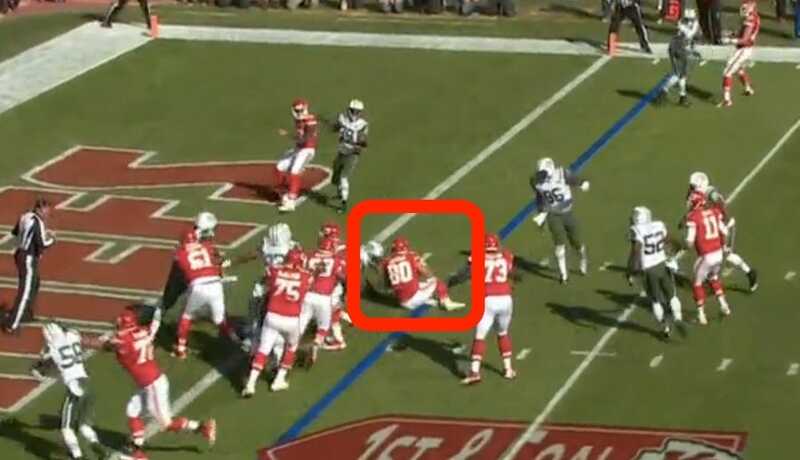 The ball popped into the air and fell into the lap of Anthony Fasano, who was rolling around the ground at the time. 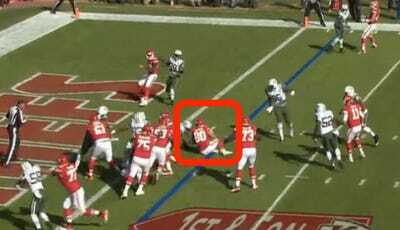 Fasano wasn’t touched, so he crawled into the end zone for one of the saddest touchdowns you’ll see.